Fungal nail infection scraping came back negative? Why did my fungal nail infection scraping come back negative? 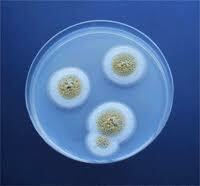 Successful culture of fungal spores. If a patient has a suspected fungal nail infection the doctor will often send the patient for a nail scraping and culture. Very, very frequently, this will come back with a false negative – meaning the test does not find fungus when it is clinically apparent that it is present. This occurs in part because the scraping is usually taken from the piece of nail that looks the worst. In this place, the spores have settled and grown fungus which has eaten all of the nutrients around itself, resulting in the disorderly nail you see. Because fungi can’t ‘move’ to search out new food, they then die. The optimal place to take scraping from is where the bad nail meets the good. This can be painful when done by a novice and again, is best gently performed by a podiatrist. For more fungal nail information, see our printable Fungal Nail Info Sheet. Alternately, use this link to return to the Podiatry FAQs Blog.